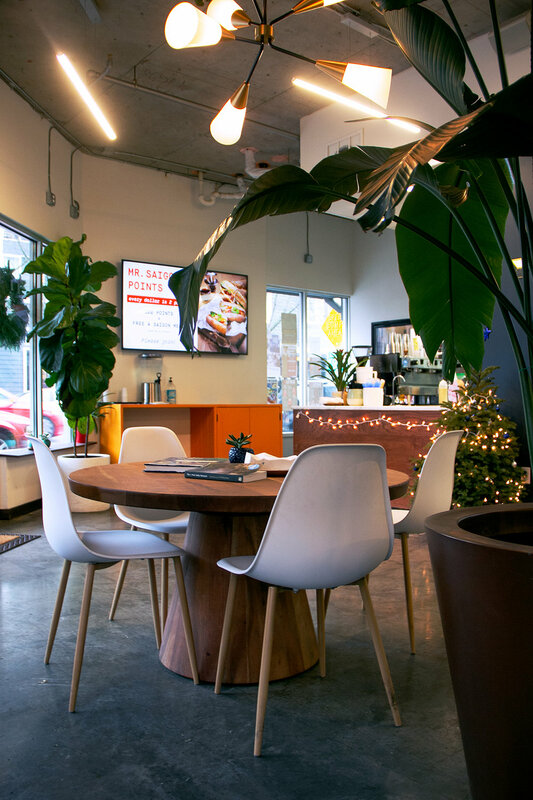 We are a fast, friendly, and fresh banh mi café. 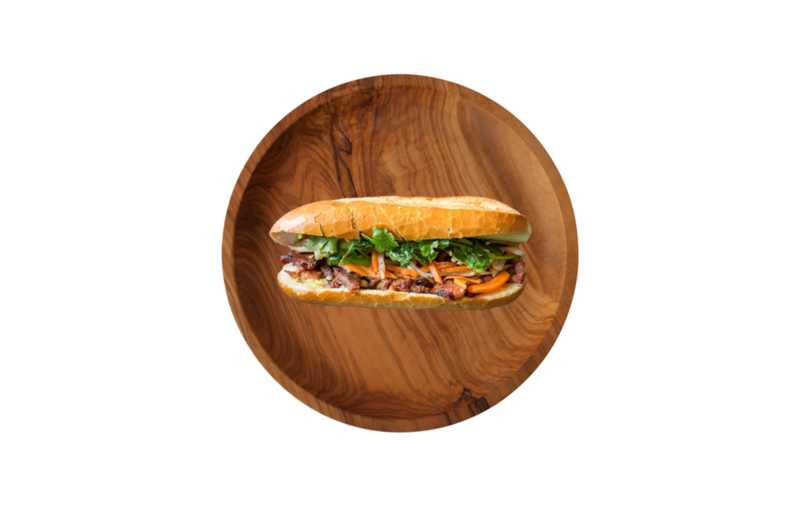 Offering Classic and Modern banh mi made with our freshly baked in-house baguettes. Comfort and enjoyment is the inspiration for our space. We wanted to create a fun place for you to meet your friends and family at any time of the day for a quick bite to eat. After ordering your Banh Mi, you could view our baker rolling and shaping the dough to bake our in-house baguettes through the observation window. We enjoy capturing photos just as much as we do crafting tasty banh mi. Follow us on Instagram for daily deal and awesome photos.